A delicately fragranced oil which conditions the skin. Created from hibiscus flowers steeped in organic king coconut oil, producing a uniquely hydrating oil that is rich in Vitamin C.
Exclusively developed for Ushvani’s flagship spa, a range of luxurious, highly-effective products. 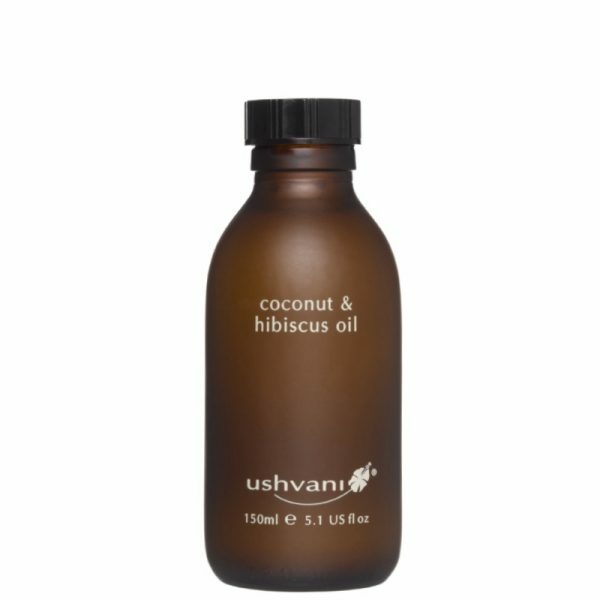 All Ushvani products are dermatologically tested and suitable for every skin type. They are naturally coloured and may fade when exposed to sunlight. Apply liberally and massage into skin. Can also be massaged into the scalp as a deep conditioning hair treatment. This is a natural product and may solidify at low temperatures. To liquify, rest the bottle in a bowl of hot water. 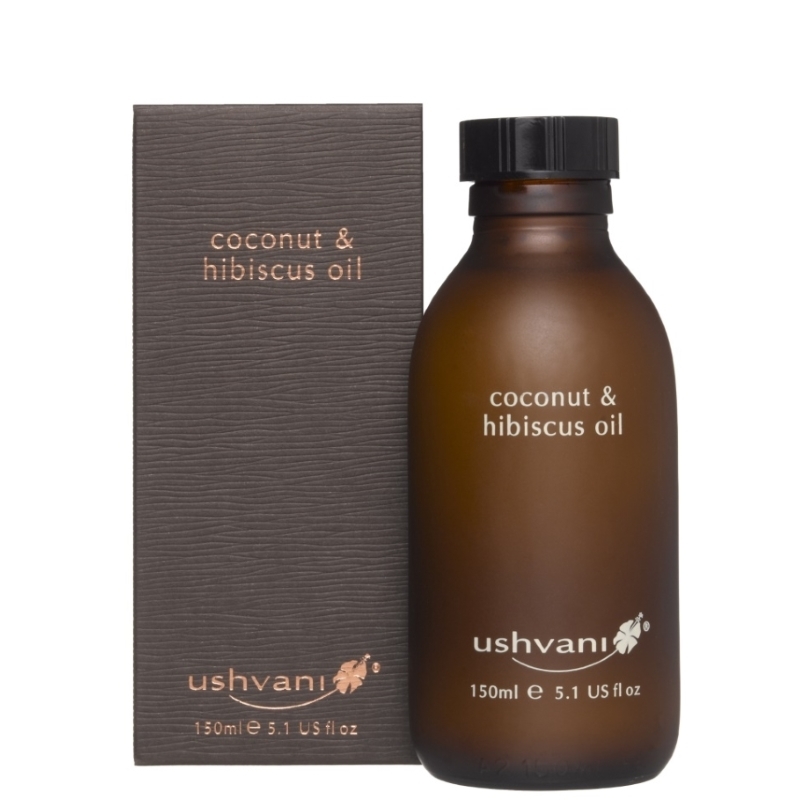 Cocos nucifera (Coconut) oil Hibiscus rosa sinensis (Hibiscus) extract. Currently we only deliver within the UK. UK mainland orders received Monday to Friday, will be dispatched within 3-5 working days. Please allow two additional days for deliveries to Scottish Highlands, Aberdeen, Northern Ireland and other rural areas. Please note that some deliveries to Northern Ireland might be delayed by Irish Customs. We apologise in advance for any inconvenience this may cause our customers. Unfortunately for select post codes in specific rural areas we may offer limited delivery options.